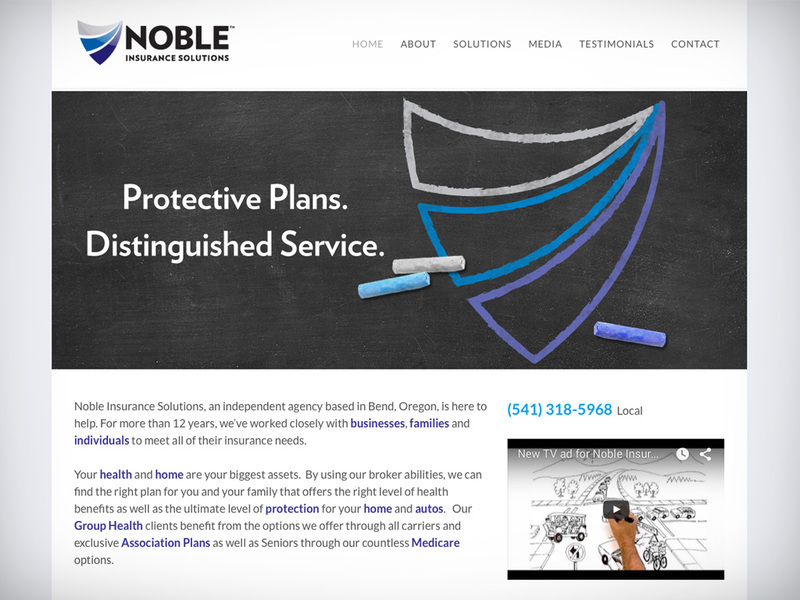 Noble Insurance Solutions is a healthcare agency offering businesses, families and individuals insurance solutions. With the healthcare industry undergoing so much change and uncertainty, the company needed a new brand identity that instills trust. BACKGROUND: JAD Benefit Solutions (now known as Noble Insurance Solutions) needed to refresh their brand identity and make stronger connections with their customers and prospects. PROBLEM: The company name, "JAD," no longer meant anything to the company or customers. The entire brand identity itself did not tell consumers who they were and why they were different and better than competitors. SOLUTION: Kinetic Branding created a brand strategy and brand communication pieces that connected with the felt needs of the company's core target audience. The unique formula that Kinetic Branding identified for Noble Insurance Solutions is Control, Get the Best and Convenience. With the new and unknown health care territory, many businesses, families and individuals feel out of control. Most do not know how the new health care reforms will affect them, and there is much fear of the unknown. Noble Insurance Solutions provides consumers with a sense of control over health care because they know the pros and cons of the new system. Because the new health care reform will be increasing costs and possibly reducing benefits, consumers want the best options available to them. Noble Insurance Solutions is devoted to understanding each of their clients and finding the right solution that best fits their needs. Since the new health care system is extremely complex, customers do not desire to learn the details, and they want to rely on Noble to make their understanding easier. The owners of JAD Benefit Solutions needed a new corporate name. JAD were the initials of the original owners Joanie And David (JAD). However, David has not been a partner in the company for some time, and thus the company name no longer made sense. Kinetic Branding began developing a new corporate name based on the company's new Brand Energy Formula, focusing on "Control" and "Get the Best." Customers needed to know that they can completely trust in the company to deliver a solid and secure health care solution. ​The final solution that communicates strength and protection was "Noble." Kinetic worked with the company to finalize the name as Noble Insurance Solutions. The new corporate brandmark that Kinetic developed for Noble Insurance Solutions was based on the top three emotional elements: Control, Get the Best, and Convenience. The new, strong corporate name needed an equally strong company logo. Kinetic Branding focused on the words "strength," "trust," and "protection" when developing the new corporate brandmark concepts. 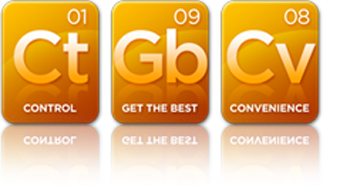 Kinetic identified the clearest image to communicate the company's core emotions was a shield. The shield quickly and convincingly communicates "Control" to consumers. The three components that make up the shield rise from left to right, indicating "Get the Best," while the smooth movement speaks to the "Convenience" that the company offers. In developing the new Noble brand identity, it was important to maintain the strength and confidence of the brand, yet remain friendly and approachable. Kinetic Branding chose to introduce a freehand drawing into the corporate identity within their new company website. By showing a human hand in the process of drawing characters, the audience can see their friendly side without losing the most important emotional element of control. The website's headline reads: "Let us draw up a plan of protection for your business." This headline speaks to the control that Noble offers, but delivers it in a friendly manner. Expanding the new brand identity that mixes strength and friendliness, Kinetic Branding helped Noble produce a series of television commercials using a hand-drawn animation technique that matched the companies new look and feel. Each of the commercials places a character in a precarious position within their environment. Whether the character is bicycling, water rafting or driving in a round-a-bout, they all encounter perilous situations that require a hero to save them. ​That's where Noble Insurance Solutions comes in to save the day.